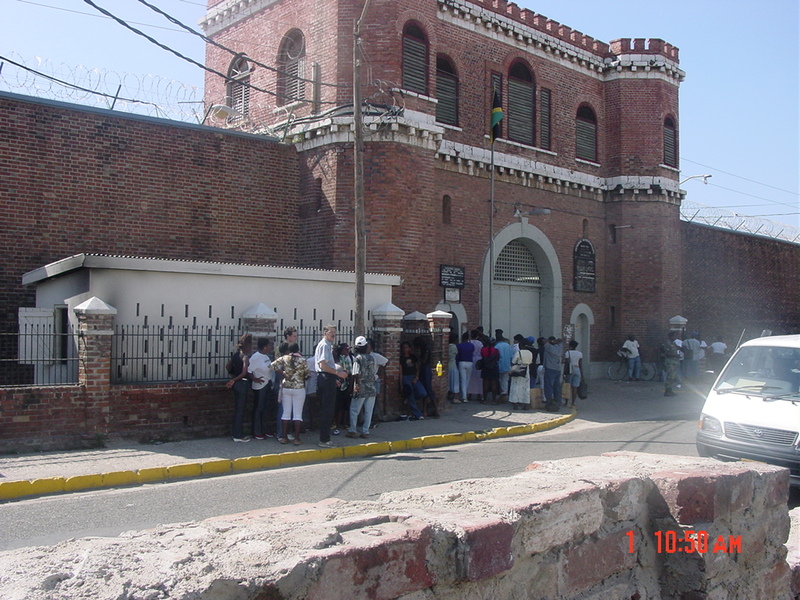 as reported in today's gleaner, the prison project moves forward. finding kevin wallen as an ally down in kingston has been the best move we've made yet. firmly and personally committed to the cause of rehabilitation in jamaica's prisons, he's one of the most solid guys i've ever met. for years now, kevin has furnished the prisons with computers and other technology (out of his own pocket), provided training and moderated weekly soul-baring sessions with groups of dedicated inmates, and supported ex-cons as they try to make their way again in the world. we've been lucky to have kevin in our corner for the last year or so, as he has facilitated our support for the new computer lab at tower street and has been a strong spokesman for the program in his radio shows on Roots FM. on top of all that, he's also running a hot, new monthly showcase of singers and poets. let's hope the progress continues. also, just thought i'd point reggae-related-readers to the many blogs of erin macleod of montreal. erin teasches a class on west indian literature, writes about reggae (and occasionally other stuff) for the montreal mirror, and puts up her own reflections on things jamaican (and things that simply sound like fun) from time to time. her recent piece on sound-systems in montreal provides a great window into that local scene. check erin's work alongside dave stelfox's breaking ranks mp3 blog, and you've got nuff music and musings to digest.